If you want a bit more information about the Firearms changes please check this link out below if you have access to Facebook. Try just Googling it as well. There is also some further information on the Policing and Neighbourhood Support tab on this site. Scallop fishing is closed for the 2017/18 season to allow for regeneration – see the Fishing tab. We would like to take this opportunity to introduce you to the Port Underwood Association. Our current membership of 111 consists mainly of couples and families, but is open to anyone who has an interest in the Port Underwood area. We have a hard working committee of 8 volunteers, 3 of whom are permanent residents, who try to fairly represent the views of a wide range of residents, ratepayers, farmers, marine farmers, forestry owners, and bach owners. Our association is known, respected and consulted on most topics that concern the Port. We are then able to present a united front on a wide variety of issues that affect all of us who live, work and holiday in this beautiful area. This website contains some information on recent activity. 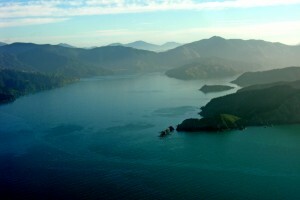 For the princely sum of $20 per year per family (not per bach), you will receive regular newsletters, and information by email on the latest issues that affect the Port such as fishing regulations, notification of aquaculture, roading, forestry and subdivision resource consent applications as well as health alerts such as toxic algae blooms. If you would like to join you can mail a cheque to the secretary PUA, P.O. Box 59, Blenheim 7240 . Please include your name, Bay, phone numbers, address and email if possible. Alternatively, you can do a direct deposit into the Port Underwood Association Account, (details available from the secretary/treasurer – see details below). Please be sure to quote your surname and Bay as a reference when making a direct bank deposit. Then, could you please email your phone number, address and email address to the below gmail address. If you wish to know more, please contact the secretary, Sara Roush by email port.underwood.association@gmail.com. We look forward to hearing from you.